The project module allows you to process complex client requests containing translations, localisations, interpreting etc. 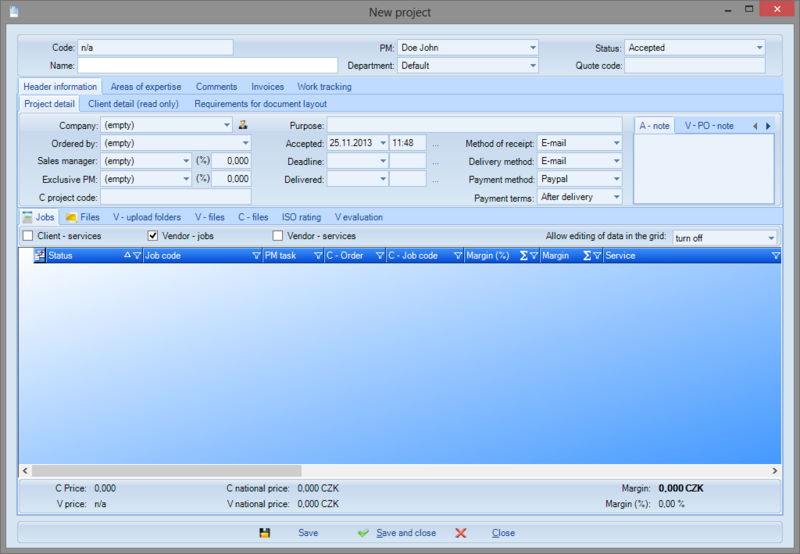 A project consists of individual jobs for a client (e.g. a translation, proofreading, localisation into different language combinations). 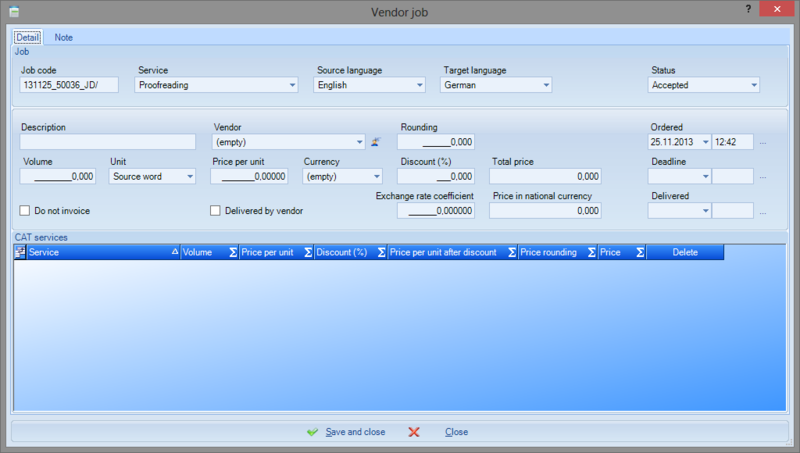 One or more vendors can work on a job for a client. 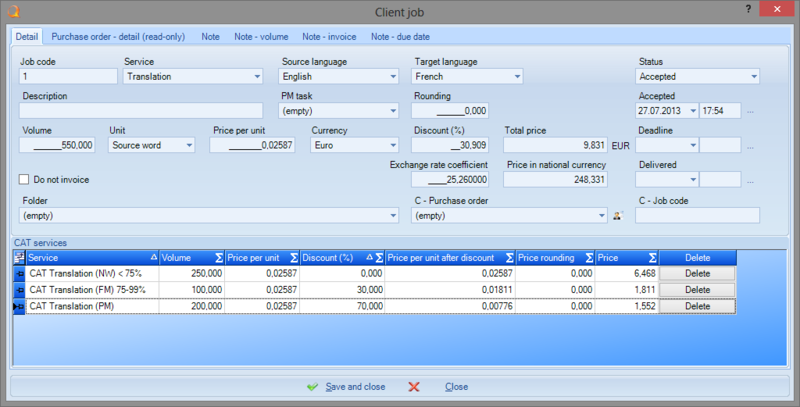 To make work easier, it is possible to generate jobs from various CAT tool analyses, such as Trados, Transit, Translation Workspace, etc. Within projects, you can work with files. Translators can download files to which they are assigned rights using the web portal. They can also upload translated files. For more information, please see File management. Using the client web portal, a client can download translated files and provide feedback to the agency through their assessment of the delivered work.